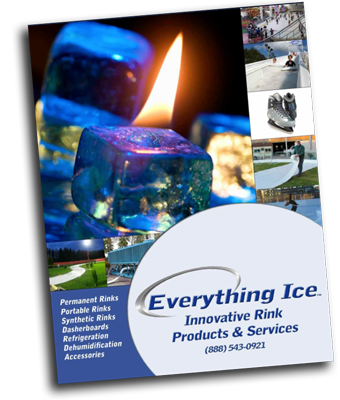 Everything Ice is your single source for all items related to ice rink design and construction. With more than 30 years experience and over 900 rink installations, we have the necessary expertise to guide your team from concept to completion. Please see our Resource Page for helpful documents at it relates to the design and construction of ice rinks. Everything Ice will assist architects, mechanical engineers and general contractors on all topics relating to ice rink construction and design to ensure a quality project. Everything Ice has a long and successful history in producing quality dasherboards. We created and patented the push button door latch and the first flexible dasherboard system. Whether you are building a new rink, or retrofitting an existing facility, contact Everything Ice and our team will work with you to ensure that you next dasherboard system exceeds all your expectations. Click Here to Build A Rink Now!